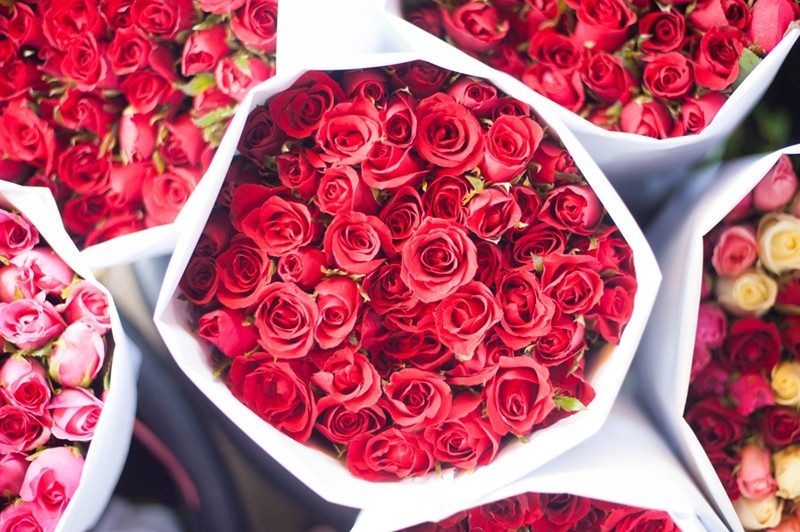 Oodles of moms around the world scored a beautiful bouquet yesterday for being so awesome—and even though those fresh cut flowers won’t last forever, there are a few tricks of the trade to keep in mind to make them last as long as possible. If you use your vase on the regular, it may contain microorganisms that will mess with your flowers. Before placing your new bouquet, give your vase a thorough cleaning by filling it with hot water and stirring in a tablespoon of baking soda and white vinegar. Make sure you steer clear of placing your bouquet near a window that gets a lot of sun. “The sun beats down on the flowers and makes them sweat/wilt,” says Barker. “It also warms the water in the vase, which spoils the hydration of the flowers.” Display them in a locale that’s room temperature (65-70 degrees). Keep your fresh cut flowers as far away from heating vents and items that give off heat as possible (such as your television or computer). “Flowers can’t stand warmth and will die within a 24-hour period—even if you just got them,” says Barker. To keep your bouquet fresher longer, change out the water daily and give the stems a small trim so the flowers get better access to water. Make sure to cut them on a slant using a sharp knife that isn’t serrated. If it’s particularly sweltering out, give each of the flower heads a spritz. It turns out flowers love it as much as we do! Sometimes some flowers tend to die quicker than others. Simply pluck out the sad looking flowers to keep the rest of your bouquet looking purdy. Server responsed at: 04/25/2019 10:39 a.m.